What is a veteran-owned small business? As its name implies, a veteran-owned small business (or VOSB, in government-contracting speak) is a small business that is at least 51% unconditionally owned and controlled by a veteran. A service-disabled veteran-owned small business (SDVOSB) is a small business that is 51% unconditionally owned and controlled by a service-disabled veteran. These definitions sound relatively simple at first blush, but there are many nuances in the law. Just because a small is 51% owned by a veteran doesn’t necessarily make it an SDVOSB or VOSB in the eyes of the government. Notably, the the government currently runs two separate SDVOSB programs: one operating under the SBA’s regulations; the other under the VA’s regulations. Although the programs’ requirements are largely similar, they’re not identical. 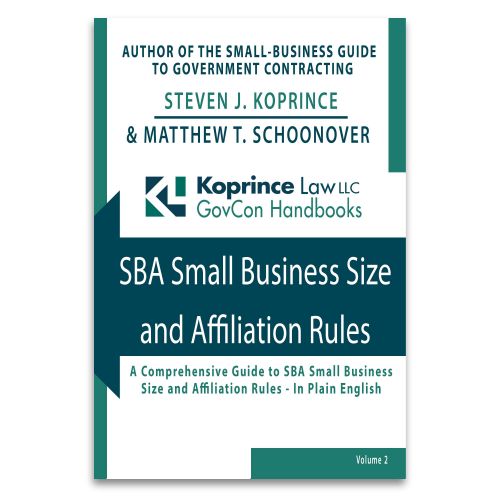 It’s important for small businesses to understand which set of rules apply to them, and what those rules entail. Control can be a subjective concept. But to control the business, the veteran (or service-disabled veteran, as the case may be) must exercise unconditional authority over the company’s day-to-day affairs and long-term strategic decision-making. Again, it’s important to be aware of regulatory nuances. For example, the VA’s regulations generally require the veteran to work full-time for the company to meet the unconditional control requirement. The SBA and VA have interpreted unconditional control quite strictly: they require the veteran to essentially be the end-all and be-all within the company, with unfettered discretion over even the most consequential decisions (like amending the company’s governing documents or dissolving the company) notwithstanding the input or beliefs of non-veteran owners. This narrow reading obviously raises significant concerns for any potential investors or partners, so the VA considered (but ultimately didn’t implement) a slightly scaled-back approach. But in 2017, Congress required the VA and SBA to implement a consolidated set of regulations, with the SBA taking the lead. It remains to be seen how strictly the unconditional control requirement will be under these forthcoming rules. 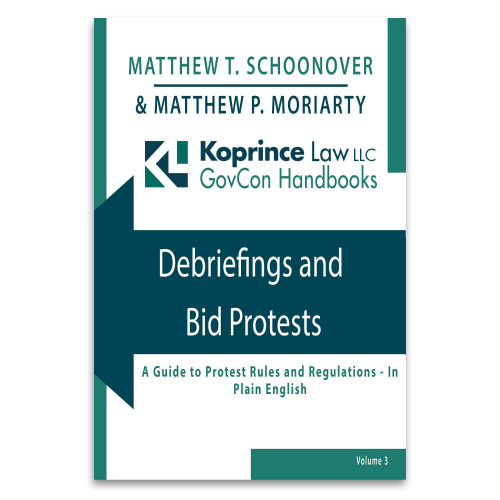 SDVOSBs and VOSBs are given some important preferences in government contracting. The most significant of these preferences is at the Department of Veterans Affairs: the VA must, in some cases, set aside work for either SDVOSBs or VOSBs. In other cases, the VA can award SDVOSBs or VOSBs sole source contracts. For non-VA agencies, only SDVOSBs (not VOSBs) are entitled to a contracting preference, although VOSB status can be helpful in more limited cases, like helping large prime contractors reach their subcontracting goals. Non-VA agencies, however, can set aside solicitations for SDVOSBs, and issue sole source awards to SDVOSBs in limited circumstances. Overall, the government aims to award at least 3% of prime contract dollars annually to SDVOSBs. The government surpassed that goal in Fiscal Year 2016, awarding SDVOSBs contracts worth more than $16 billion. Can a business challenge my status? Yes. If an SDVOSB or VOSB is given a contract under a contracting preference, a disappointed offeror can challenge the awardee’s status as a veteran-owned small business. Losing a challenge means that your business will lose its award. These challenges are a double-edged sword. Not only does this mean that a competitor might dispute your eligibility, but you can also dispute that of a competitor that wins a contract. So if a business challenges your status—or if you believe that one of your competitors might not be eligible—make sure you can navigate the regulations to help protect your interests. Here’s where this socio-economic program gets a little tricky. For non-VA projects, a service-disabled veteran-owned small business simply has to self-certify as to its status in the government’s SAM database. It’s essential to do your due diligence before self-certifying. Incorrectly self-certifying can carry significant penalties—ranging from losing the award to being debarred. For VA projects, however, SDVOSBs and VOSBs must be verified by the VA’s Center for Verification and Evaluation before the bid date. Joint ventures seeking SDVOSB awards also have to be verified. This verification process can take several weeks and involve some back-and-forth—in fact, we’ve seen cases where the VA relies on outdated regulations to question a joint venture’s eligibility, when the joint venture agreement was fully compliant with current regulations. If you’re considering seeking verification for your small business (or joint venture), act fast—and get help. Veterans deserve our respect and gratitude for the selfless service. The SDVOSB and VOSB contracting preferences are but one small way our country can begin to repay this debt. If you’re interested in seeing if you qualify for SDVOSB or VOSB status or would like to learn more, please give me a call. This entry was posted in Five Things and tagged 5 Things You Should Know, SDVOSB control, SDVOSB eligibility, VA SDVOSB Regulations. Bookmark the permalink.